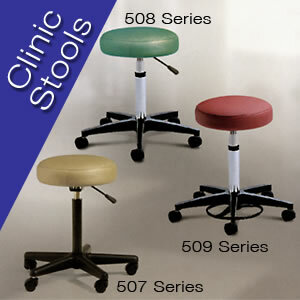 Champion's Caregiver Clinic stools are three all-purpose seats to meet your exact needs. 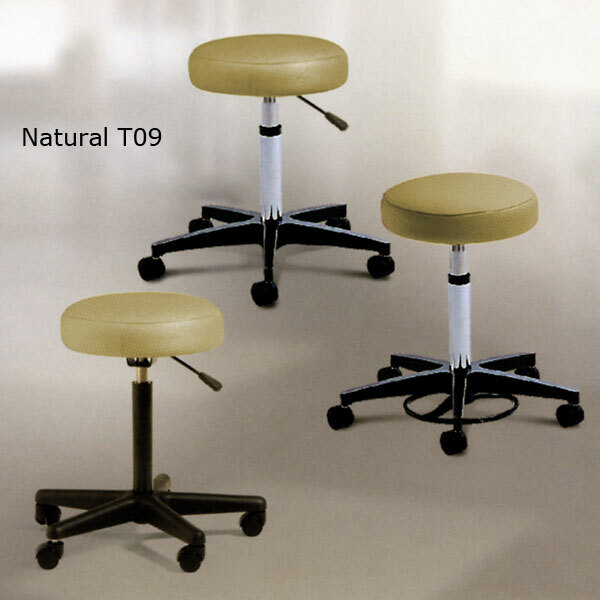 All stools offer a pneumatic cylinder for easily adjustable height options along with either a composite or polished aluminum base. Three and a half inch foam padding, a 15-inch seat and sealed seams provide caregivers with comfort and durability. 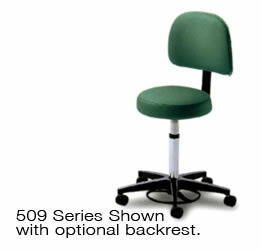 Optional backrests are available on all clinic stools. Available in a wide range of standard and up-graded vinyls, they can be designed to complement any interior.